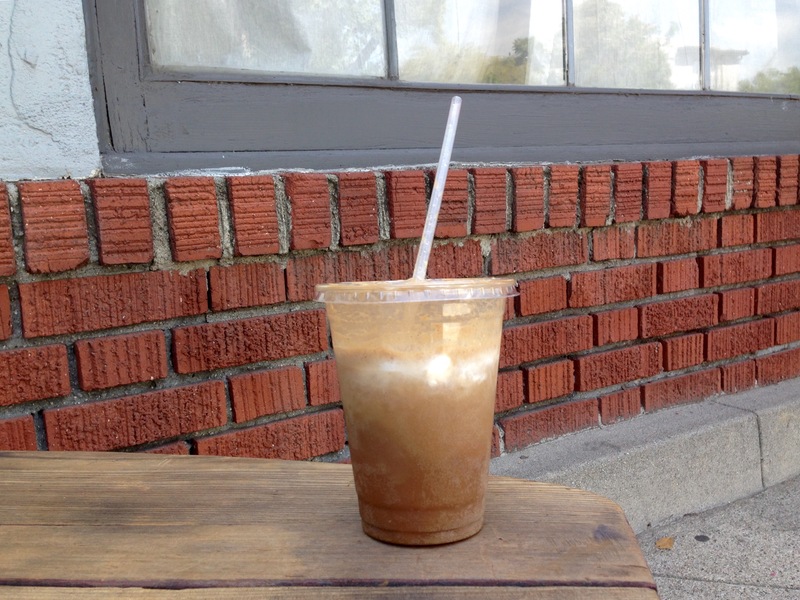 Behold the Dirty Root Beer Float: two scoops of vanilla ice cream with root beer and two shots of espresso. The espresso tempers the sweetness of the root beer and gives the drink a dark chocolatey taste. I gave up soda a few years ago, but this is an exception. I know my friend pjr would love this: two of his favorite drinks…in one cup! I also know that as long as the weather stays hot and I have to be coherent at work, the nice guys at bru coffeebar will be seeing a lot of me.